Whether you're here just to kick back and relax or get your adrenaline pumping, there's something for everyone in Taupo. The World Famous Waitahanui River and Picket Fence at the river mouth offers some good fly fishing just a couple of minutes walk from the lodge. The Waitahanui is renowned for its fishing pools and fishermen from New Zealand and overseas have been making the annual pilgrimage for decades to fish its waters. Nearby rivers include the Hinemaiaia, Tauranga- Taupo and Tongariro. In the lake, Rotongaio Bay and Horomatangi Reef offer consistent lake fishing all year round. Read more in our Fishing Guide. Right in front of the lodge, Rotongaio Bay is a safe beach for swimming, kayaking and rowing. For water skiing and jet skiing, there is a ski lane at nearby 5 Mile Bay. The tranquil Waitahanui River tracks provide the perfect walk whether it is a casual stroll or a 2 hour tramp. For the more adventurous, the Tongariro Crossing is a must do. There is a bus service at our front door. Taupo has numerous other walks and tramps around the lake and rivers. 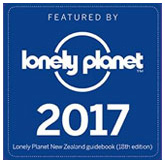 A particularly popular one is a walk along the Waikato River to the Huka Falls. Taupo is host to numerous international sporting events each year such as Ironman and the Great Lake Cycle Challenge. We offer an alternative to motels in the heart of Taupo where guests can relax by the lake and soothe the body after a gruelling competition. Going for a walk up the Waitahanui River tracks is a must for bird watchers. Among those that have been spotted are - Grey Duck, Mallard, New Zealand Scaup, Pheasant, California Quail, Kingfisher, Harrier, Shining-bronze Cuckoo, Tui, Bellbird, Little Black Cormorant, Pied Cormorant Grey Warbler, Yellow Hammer, Silvereye and Swallow. Only 100 metres away from the lodge visit the Wildwood Gallery displaying and selling works of art by local wood turner Robbie Graham and water colour artist Sue Graham. 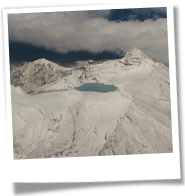 Tongariro National Park and Whakapapa ski fields are only 50 minutes away. During the ski season, a bus service is available from our front door. Taupo is spoilt for choice when it comes to cafes, restaurants and takeaways. The closest to us is Ploughmans at Rainbow Point. And in our opinion, the best fish and chips in Taupo is Fish Box, also at Rainbow Point. Bungy Jumping, Jet Boating, River Rafting, Para Sailing, Sky Diving or Kayaking, Taupo has a huge range of outdoor activities all within a short drive from the lodge. We have all the brochures on what to see and do while you're visiting and can recommend a number of attractions.